The voice startled me as I cradled my 6-week old son, “Toots,” while tiptoeing to my car from the neurosurgeon’s office in a small, one-story building. Leaving the usual puddles as its calling card, a typical Florida storm had come and gone quickly and made me mindful of each step. Tears partially clouded my view of a broom and pail at the edge of the parking lot. I stopped. Towering over me was a burly, dark-skinned man in a white shirt and dark blue pants which I assumed to be the uniform of some maintenance crew. A large set of keys hung from his belt and he held a squeegee in one hand, as if getting ready to do something about the wet patches. I didn’t bother with a response because my mind was in the grip of fear over what was going to happen to my baby. 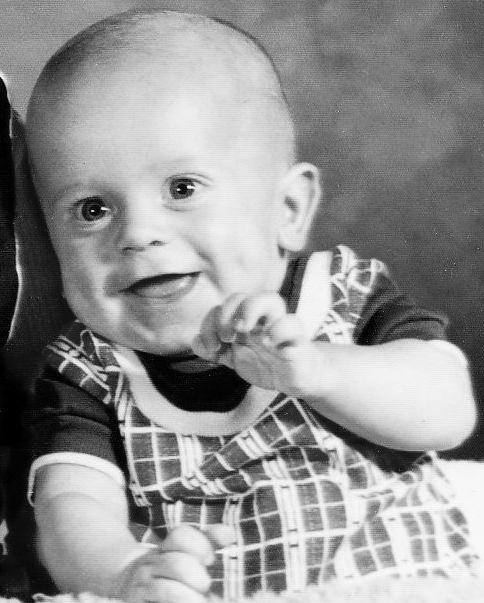 When “Toots” was born, my mother-in-law took to calling him “doll boy” because he was as perfect in her mind as a baby could be. His round face was topped with a wisp of blonde hair and his eyes were as blue as the waters surrounding Miami where we lived. He ate and slept like a champ and showed early signs of being a good-natured, easy-to-care-for baby. The pediatrician had declared him “perfectly healthy.” There was just one thing he wanted to have checked out by a neurosurgeon, he said, and that’s what had taken me to the small building I knew so well from our old friend Zacharias, who had his long-time dental practice in the same place. “Wait…,” the man said when he saw me turn away. “Why are you crying?” His voice was both insistent and surprisingly velvety for such a big man. You can tell me. “N-n-no,” I stammered. The thought of sharing my despair with a stranger made my stomach churn. I come from strong Scandinavian stock and we’re all about not showing vulnerability in the face of adversity. At first I hadn’t been alarmed when our pediatrician felt something unusual on the top of my baby’s head. “We want to make sure the bones aren’t growing together prematurely,” he said in his usual, calming way. I completely trusted this old-timer in the community, this man who was often called “the doctor’s doctor.” It wasn’t until the recommended consultation that I understood the life-threatening situation. First I watched in amazement as the specialist laid his hands on the head of “Toots” and almost instantly pronounced, He needs surgery. Then he said the plates he’d have to put into the skull were part of a procedure that he often performed but – and, somehow, I already sensed there was going to be a “but” with this doctor – the real danger was in the anesthesia. He rambled on about statistics and low percentages of survival as I stoically tried to take it all in, till it hit me. Toots was going to die. I don’t recall how I got from the doctor’s office to the edge of the pathway. I just wanted to get into my car without having to talk with anyone, but then that man seemingly appeared from nowhere. I was surprised when I heard myself speak, but somehow the look of genuine compassion in the eyes of this stranger made me feel as if he already knew what I was going to say. “My baby is dying… he won’t survive the operation… I’m going to lose him …”, I whimpered. Normally, if somebody talked about faith I’d recoil. Personal statements like that cut into the very core of everything ingrained in me from my Scandinavian upbringing, particularly when they had to do with spiritual matters. Embarrassed, I mumbled something and hurried into my car. But in the flurry of the coming weeks his words stayed with me. 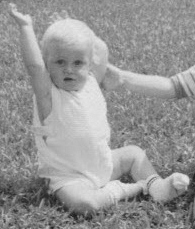 When the pediatrician agreed with the surgeon and everyone decided the only chance for a normal life was the operation, I suddenly thought of the maintenance man and I was surprised by an overwhelming wave of hope. But hope turned to self-recrimination. What kind of mother was I? What foolish person would listen to somebody like that talk about a life-threatening matter? Who was that man, anyhow? With stubborn resolve I finally managed to push the stranger out of my mind. Two hours before the scheduled surgery one of the nurses called for us. Posted on February 5, 2013, in "Tales2Inspire Writer's Contest", Authors helping authors project, Tales2Inspire, Tales2Inspire Contest, Writers contest and tagged "authors helping authors", "chance encounters", "inspirational stories", "TALES2INSPIRE CONTEST", author, Lois W. Stern, Tales2Inspire. Bookmark the permalink. 6 Comments. I loved this uplifting albeit terrifying story of the near loss of a baby. having had simialr situations made me connect with this story and I got chills reading it. Miracles are all around us and most of them impossible to explain. Micki, I knew yo especially would connect with this story. I can also tll ho much your comment meant to Cami Ann. Thank you from both of us! Micki, I do believe most every mother can identify with Cami Ann’s story, but as you say, this author made the situation feel terrifyingly real. Talented writers are able to do that for their readers. This sounds interesting, but I can’t find the rest of it! Thanks for your interest in Cami Ann’s story. It is indeed a most fascinating and well written story. I know how frustrating it must be to get to the middle of a story and not be able to read its ending. This is a publisher precondition that material about to be published not already be published elsewhere (including the Internet) unless one is printing POD. I do understand their rationale, as they want the material to be fresh when published. 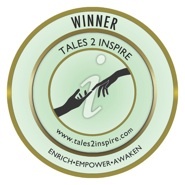 As creator of the Tales2Inspire “Authors Helping Authors” project/contest. I’m caught in a “catch 22. One of my goals is to give my winning authors exposure, to help them build their platforms, and this is just one of the ways I try to do this. But I have to abide by publisher regs to meet another objective for my winning authors- to get these ‘tales’ published. So please bear with us as the end is nearly in site. BTW: If you are on Facebook and care to LIKE my author page @www.facebook.com/tales2inspire , I will be posting publication developments there as they happen, as well as lots of inner beauty and physical beauty stuff beyond the usual. Hope to welcome you there.